Let’s just say that it’s been like a month since Google has released the very first Ice Cream Sandwich device, the Galaxy Nexus. In line with the said event, many Android key players had raises their intent of embracing the newest Android OS. And HTC is not an exception, being the Taiwanese giant and one of the fastest selling brand in the world. HTC identifies possible upgradable handsets for Ice Cream Sandwich line-up in their recent Facebook official statement. HTC stressed most of its high-end phones from HTC Sensation all the way up to the recently announced Rezound to be recipient of ICS. Here’s the official statement from HTC’s Facebook Fan Page. HTC knows how excited our fans are to get their hands on Google's latest version of Android, Ice Cream Sandwich, so we're thrilled today to announce the first wave of HTC phones that will receive upgrades. 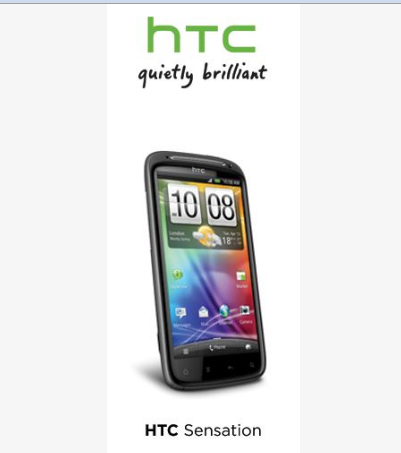 Ice Cream Sandwich is coming in early 2012 to a variety of devices including the HTC Sensation, HTC Sensation XL and HTC Sensation XE, as well as the HTC Rezound*, HTC EVO 3D, HTC EVO Design 4G* and HTC Amaze 4G* through close integrationwith our carrier partners. We're continuing to assess our product portfolio, so stay tuned for more updates on device upgrades, timing and other details about HTC and Ice Cream Sandwich.